When Nintendo first announced that it was planning to make more movies based on its games, Pokémon seemed like an obvious choice after the huge success of Pokémon Go. 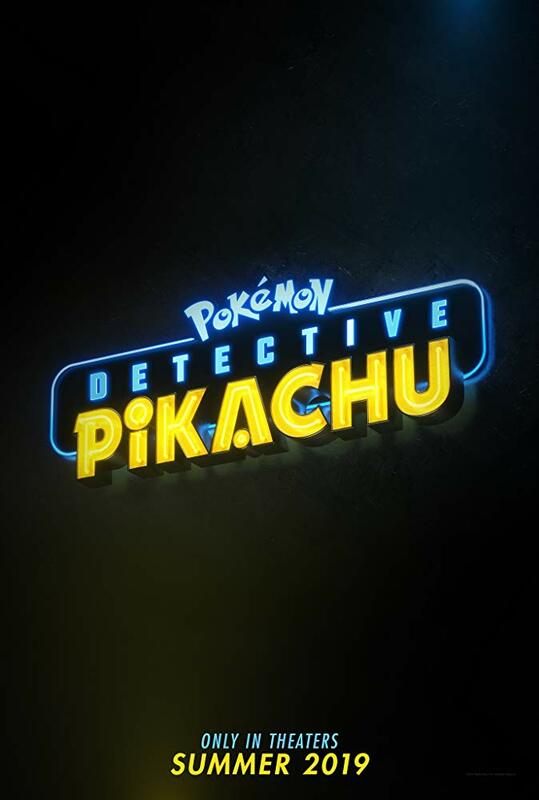 What wasn't so obvious is the type of Pokémon movie that Nintendo has decided to make: an adaptation of the niche spin-off Detective Pikachu. But that's where we are, with a movie due soon starring Ryan Reynolds as a talking Pikachu who has to solve a crime together with his human buddy - all in live action, with the Pokémon themselves rendered in a quasi-realistic style. It looks totally wild, but it just might work - here's what we know so far. When is Detective Pikachu coming out? The Pokémon movie is out in most countries - including the US and UK - from 10 May 2019. Check out the rest of the year's movie release calendar to find out what else is on the way. If you're in the US you can grab tickets from Fandango or Atom Tickets, while UK fans are best off heading to their chosen cinema chain: Cineworld, Vue, or Odeon. If you go during opening weekend, you'll even be able to get your hands on a limited edition trading card for the film, which should be all the encouragement some fans need to book into the first available screening. Interestingly there's no new Pokémon game planned to release around the same time, though we wouldn't be surprised if Nintendo used the hype to reveal new info about the upcoming Sword and Shield games, which are due at the end of the year. Finally, you might want to check out this footage from the 'audition room' for the film, shared online by Ryan Reynolds himself. No, it's not actual casting footage, but it is a great roll call for the various Pokemon we have to look forward to. The biggest star of the film is someone you won't see at all: Ryan Reynolds is voicing the titular Pikachu, despite an online fan campaign to get Danny DeVito in the role. His live action co-star is Justice Smith, probably best known for Netflix's The Get Down and a supporting role in Jurassic World: Fallen Kingdom. There are more big names in the rest of the cast though, with Bill Nighy in an unknown role (heard providing a voiceover in the first trailer) and Ken Watanabe as a police detective. Meanwhile Kathryn Newton will play a fellow Pokémon trainer who gets mixed up in the plot, and Rita Ora will even have a part - though we don't yet know what. The director is Rob Letterman, who's familiar with family-friendly fare - he directed the recent Goosebumps movie, along with animated films including Monsters vs. Aliens and Shark Tale. Letterman also contributed to the script, along with three other writers: Dan Hernandez, Benji Samit, and Derek Connolly. Between them they've worked on projects ranging from Star Wars to sitcoms, which is probably a good guide to the tone to expect here: a big spectacular adventure with a lot of laughs.